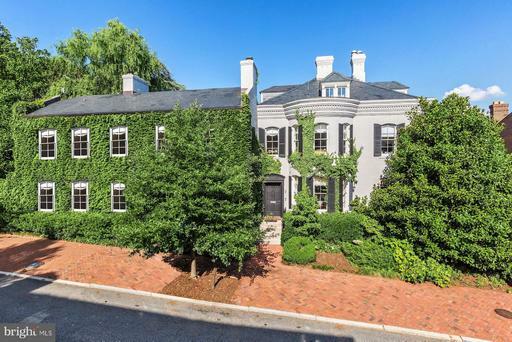 Discreetly veiled by ivy and a majestic magnolia tree, Brooke House presides prominently over Upper Georgetown from one of the finest locations in Washington. Once a part of the neighboring Evermay Estate and former home to Senator Ted Kennedy, the original property dates to 1887. Behind the home, formal gardens yield to views of the magnificent grounds of Evermay, one of the most important gardens in the city. 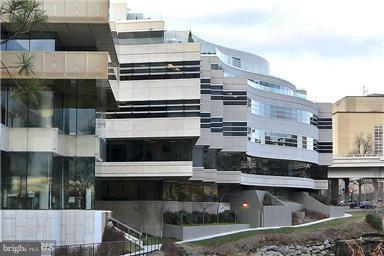 The scale and quality of Brooke House is exceptional for Georgetown. The original residence was joined by an impressive addition in the 1950s. Under the talented guidance of Christian Zapatka, this home was recently reimagined and renovated while retaining its Edwardian elegance. Guests to Brooke House are greeted by a generous reception hall with classic marble flooring. Adjoining the reception hall, the formal living room is graced with walnut parquet flooring, high ceilings, a fireplace, and a wall of French doors and windows overlooking a bubbling fountain in the center of the courtyard. Beyond the formal living room, an elegant floating staircase with wrought iron and lacquered railing invites the eye upward, while the view down the main hall reveals an inviting breakfast room, family room and chefs kitchen. Also on the main level, a paneled study is encased with solid mahogany, featuring coffered ceilings and generous bookshelves. The garden is accessible through walls of French doors from both the family and living rooms offering a serene and private escape consisting of boxwood terraces, mature plantings, a pergola for outdoor dining, and a peaceful lily pond which ties the outdoor expanse to the adjacent grounds of Evermay.The master suite occupies the entire second level of the residence, providing a luxurious and private escape. Boasting his and hers dressing rooms and a spectacular master bathroom, the dimensions and detail create the effect of a personal spa. The marble and limestone detailing runs full height to enhance the timeless feeling of the space, while the luminous fixtures, all from Waterworks, further the effect. In addition to the master suite, the family quarters include 7 bedrooms with en-suite baths. 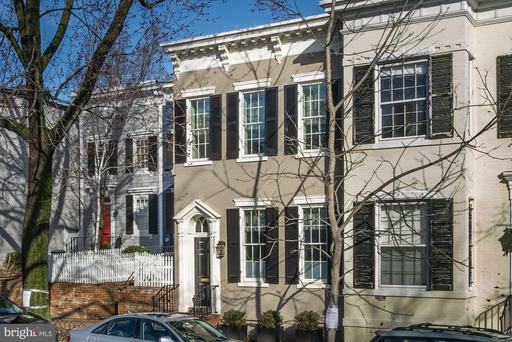 Downstairs, a richly paneled billiard room, generous wine cellar, and additional service rooms lead to a motor-court accommodating parking for eleven cars, a true rarity even in Georgetowns prestigious East Village. Completely renovated to the highest global standard with no detail overlooked, the estate and its grounds reaffirm the grace of the Federal period. 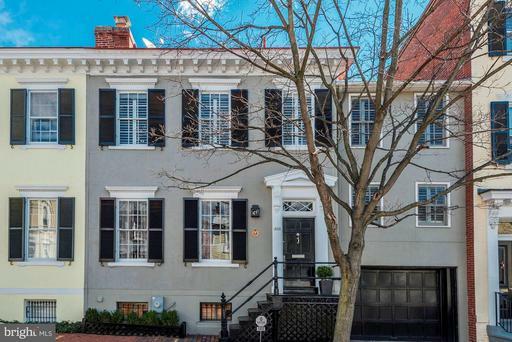 Unquestionably, Brooke House is firmly positioned for the 21st century to maintain its heritage as one of the great estate homes of Washington DC. BREATHTAKING GEORGETOWN WATERFRONT PENTHOUSE! Rare opp. to own 1 of 6 apts in a distinguished private bldg! Extraordinary 6,000 sf penthouse feat. 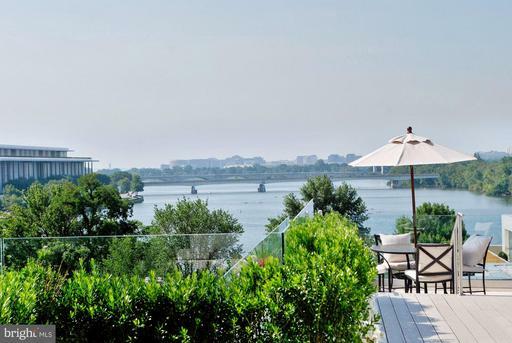 2 levels of impeccably designed living space by Richard Williams + an additional 3,400 sf of outdoor terraces w/pool directly overlooking Potomac River iconic Washington monuments! Ideal residence for grand fam living large scale entertaining! 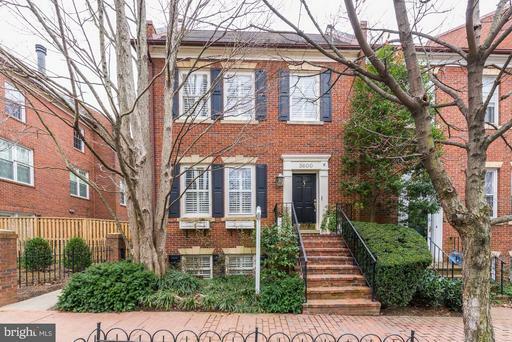 Beautiful private Federal style home is ideally located in Georgetowns East Village. This home boasts 7BR/7.5BA w/ spacious rooms throughout. The main level offers a large kitchen/family room that leads out to the priv. rear garden which features 3 fountains is perfect for entertaining relaxing. In addition, the home offers an elevator that serves all four levels. 3 car parking available. 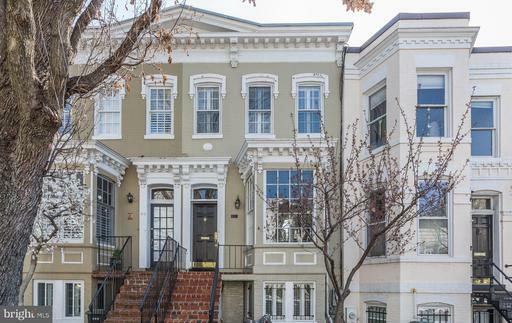 Total Square Footage: 6,480! 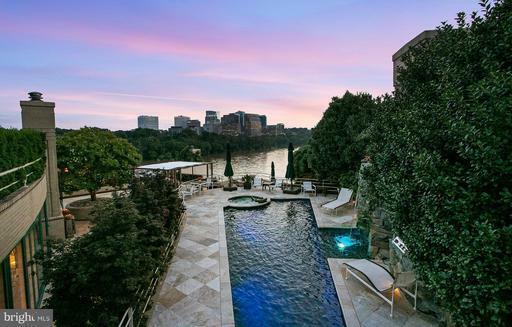 One-of-a-kind waterfront penthouse with spectacular panoramic riverscape from 5,000 sqft terrace: private heated pool and spa with waterfall, fountain, extensive gardens, abundant elegant outdoor living and dining venues. Thoroughly custom architectural masterpiece with generously scaled rooms, den, fireplaces in four, luxurious master with his her baths, 3-car parking. Full service class A building. This Georgetown home is truly one of a kind, featuring extreme attention to detail, the highest quality finishes, and outstanding design. 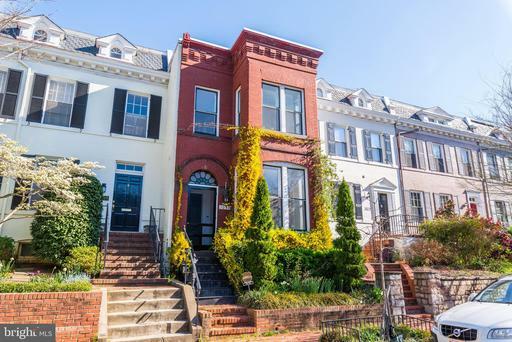 Recently renovated from top to bottom by the best contractors in the area, it features five bedrooms, four and a half baths, a pool, a terrace for entertaining, and a one car garage. 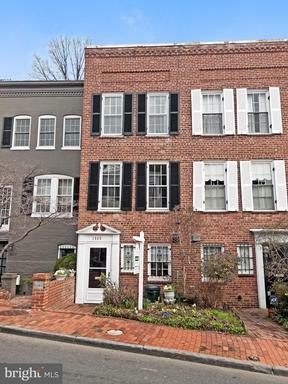 Prominently located in the heart of Georgetowns East Village and with windows looking into the gardens of historic Tudor Place, this homes location and convenience are truly unparalleled. Stunning end unit Wormley Row House. 5 Bedrooms, 4 Bathrooms, 2 Powder Rooms. Professionally designed interiors. Impeccable finishes, beautiful hardwood floors. Upper Lower Level Laundry. Glass-roofed loft at the conservatory level. Elevator w/ custom wood paneling and tobaccowood flooring. Private rear patio. 2 Car parking in underground wormley row garage. 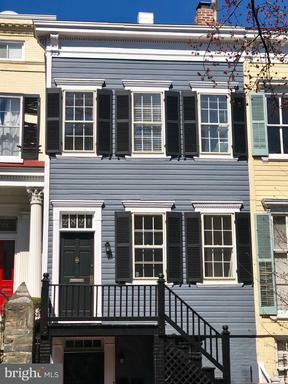 JUST LISTED- GEORGETOWN! THREE CAR GARAGE! 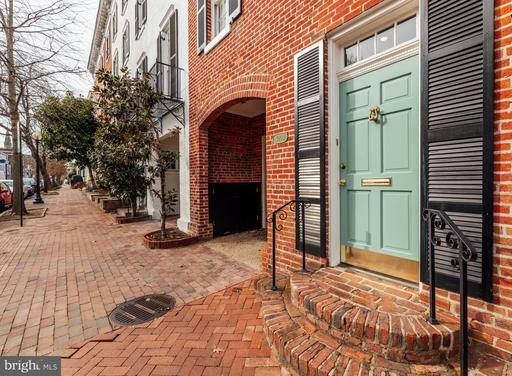 Ideally located in the very heart of the Village of Historic Georgetown w/ a walking score of 94! Main level features generous Entry Hall, sunlit Living Room with Garden and Terrace Access, gourmet chefs Kitchen with custom maple cabinetry, Family Room adjacent to the kitchen with French doors leading to Terrace, formal Dining Room, Butler~s Pantry, laundry center and Powder Room. The second level includes a deluxe Master Bedroom suite with walk-in closet and luxurious bathroom with soaking tub and two additional Bedroom Suites while the third level offers a Sitting Room with Virginia views and a large fourth Bedroom with wall of closets. The lower level is fully finished and includes an office with wall of built-ins. This beautiful home sits on a large private lot with an expansive Flagstone Terrace and professionally landscaped yard and gardens. A THREE CAR GARAGE with automatic doors, pedestrian door and additional attic storage complete this magnificent home! 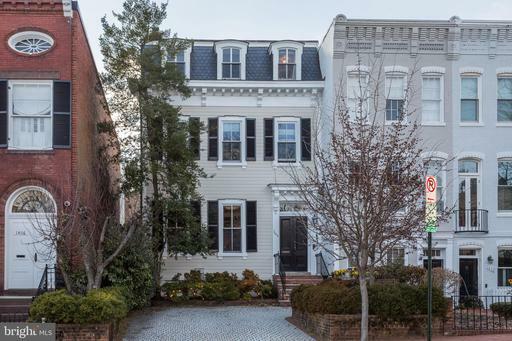 Last on the market 35 years ago, this quintessential Georgetown East Village Federal is a spectacular free standing property, beautifully preserved with many original details. 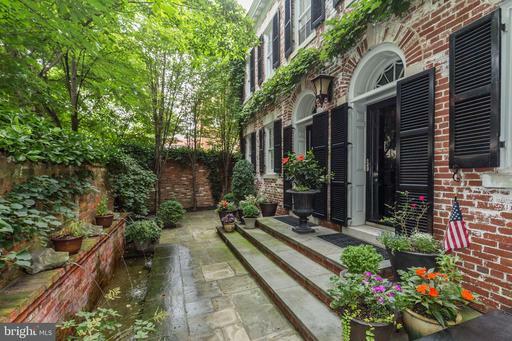 The former home of American film actress Myrna Loy, it offers graceful entertaining space including a double parlor, a spacious library and charming south-facing garden with plunge pool. Newly installed top-of-the-line elevator and rare two car tandem parking. Kitchen designed by Stavropoulos Associates. 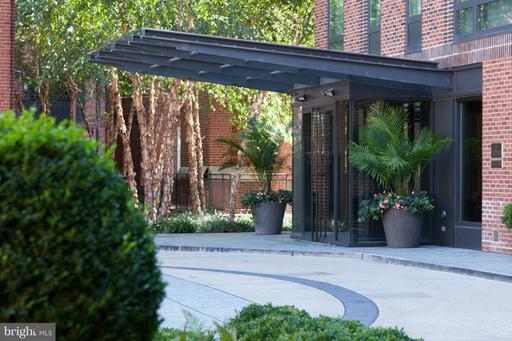 Light-filled principal rooms and charming patios, archways and gardens. Light filled East Village Federal! Completely renovated w garage, pool, wonderful living entertaining spaces. LR, DR, kit-fam room, PR and coat closet access to garden, all on entry level. Incredible master suite, and 2 more BRs, a BA office on the upper level. Playroom, 4th BR w BA, laundry room, second kitchen, storage room access to garage and garden on LL. 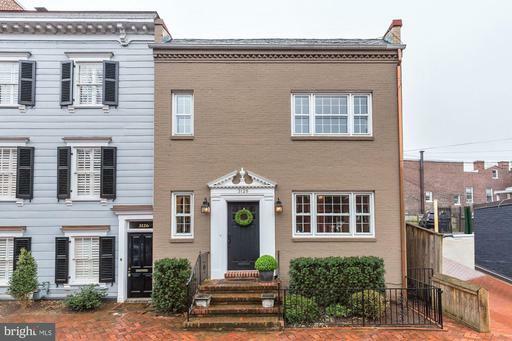 Beautiful Federal style home in the heart of Georgetown boasts 4BR/3.5BA, hardwood floors throughout, and is flooded with natural light. Main level features a spectacular kitchen, living room, dining room, and family room. The upper level features a master suite, a second bedroom, full bathroom, and a third bedroom that may also be used as an office. The lower level has a fourth bedroom, a full bath, an entertainment room, gym, and wine cellar. One car garage parking. 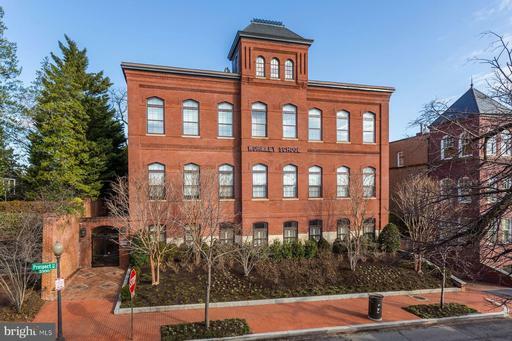 Just a stones throw away from M Street in Georgetowns West Village sits The Wormley School, a historic landmark schoolhouse which dates to 1885. 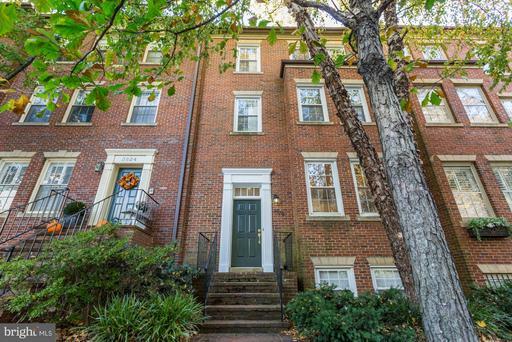 Behind a storied red brick facade on the School~s first floor sits an immaculately redesigned 2 Bedroom, 2.5 Bathroom residence. 2,700 light-filled square feet are complimented by timeless finishes including a La Cornue Range, white marble and rustic walnut countertops, custom paneled SubZero refrigerator and freezer, Tom Dixon light fixtures, steam showers, soaking tubs, and two gas fireplaces. Through the kitchen and off the residences sunroom is an expansive outdoor terrace with a gas firepit and grassy dog run. Underneath the old elementary school which was named for James Wormley, a prominent African-American Businessman and Social Advocate, are one storage unit and two assigned parking spaces. 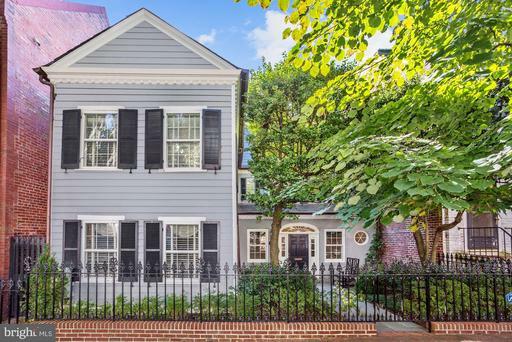 History meets sublimity in Georgetowns West Village. EXTRA WIDE DETACHED HOME PROVIDES A PLETHORA OF DESIGN AND RENOVATION OPTIONS TO THE EXISTING IMPROVEMENTS CURRENTLY IN PLACE. 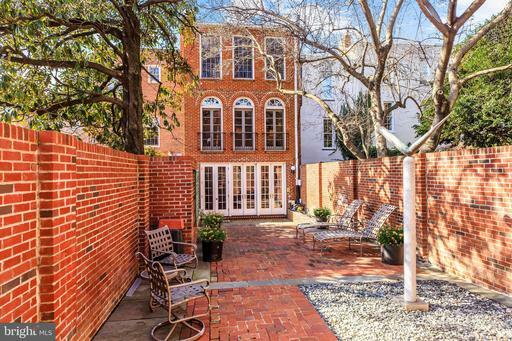 EMBASSY SIZE ROOMS ABOUND IN THIS SUN-FILLED HOME IDEAL FOR ENTERTAINING AND FAMILY LIVING. VAULTED ATRIUM SKYLIT CEILING IN FORMAL DR, CHEFS KITCHEN WITH ADJOINING FR AND FIREPLACE. FINISHED WALK OUT LOWER LEVEL WITH IN LAW SUITE. DECK OVERLOOKS LARGE YARD WITH SOUTH AND WEST EXPOSURE AND REFLECTING POOL WITH ABILITY TO HOUSE LARGER SWIMMING POOL. OFF STREET PRIVATE PARKING FOR 2+ CARS. 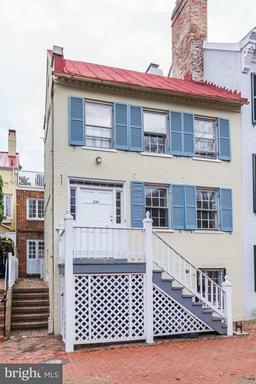 UNIQUE OPPORTUNITY TO CREATE DREAM GEORGETOWN RESIDENCE. ***Open house 4/6 1-3 p.m. and 4/7 2-4 p.m.*** This high quality new construction townhouse offers German made Hacker custom kitchen cabinetry with top of the line Miele appliances and a large island that can seat eight. The entire residence has a luminous quality from the floor-to-ceiling windows, glass balustrades, four large skylights above light wells and a custom UK manufactured floating staircase. There are multiple terraces for outdoor entertaining. 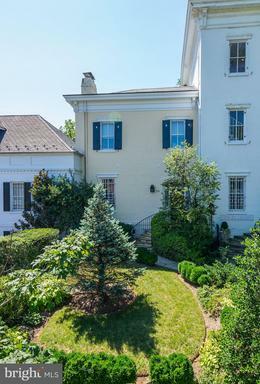 The stunning roof deck and master bedroom offer views of the National Cathedral. The master bathroom offers a sauna, large soaking tub, separate shower, flat screen tv, towel warmer, and a walk-in closet. There are two wet bars, one on the master bedroom level and the other on the in-law suite level that leads to a garden terrace. No detail has been overlooked, including the projector prewire, surround speakers and led mood lighting. All of the spa-like bathrooms offer designer bath fittings and Porcelanosa tiles throughout. There are two gated parking spaces that lead to a newly paved alley with drainage system. Please note that the light wells are included in the total finished sqft. BEST VALUE IN GEORGETOWN!! 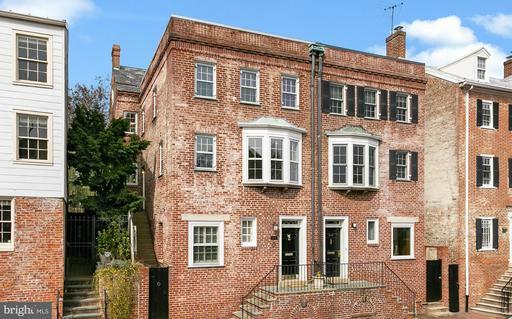 Fantastic Townhouse Alternative! 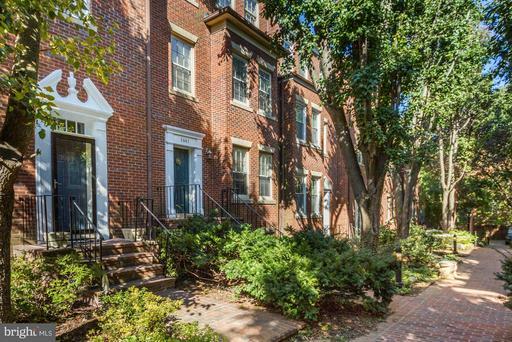 4BR, 4FBA, 1 HBA 2-lvl PH w/3,500+ SF of interior living space an expansive terrace w/views of Washington Monument! Spacious LR w/floor to ceiling windows terrace access, 12ft ceilings, banquet-sized DR, library, gourmet kit, bfast rm w/wine cooler, deluxe mstr ste, powder rm, laundry rm, 4 addl BRs. GREAT bldg amenities- priv. rooftop pool terrace and concierge! New Listing! 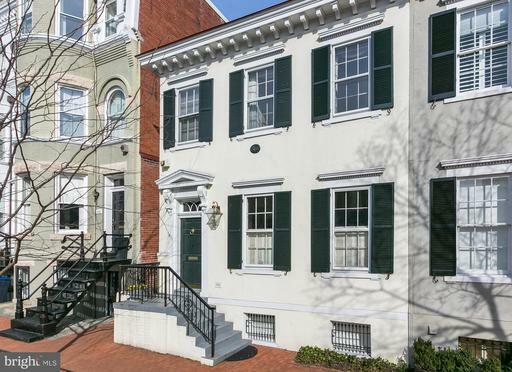 Awash with light on every level, both front and rear, this beautiful townhouse dates from c. 1857 when it was one of three adjoining properties built for three sisters. Meticulously restored and fully renovated by the present owners, the home offers new bathrooms, spacious living and formal dining rooms with fireplaces, and a charming country kitchen that leads to the private terrace and landscaped gardens. Upstairs, there are 4 bedrooms and a sitting room with new bathrooms. 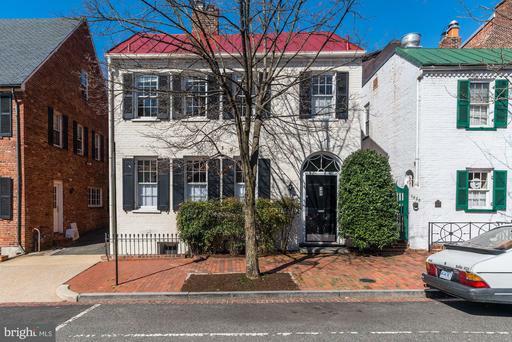 This quintessential Georgetown property is situated on one of the most treasured streets in the area. 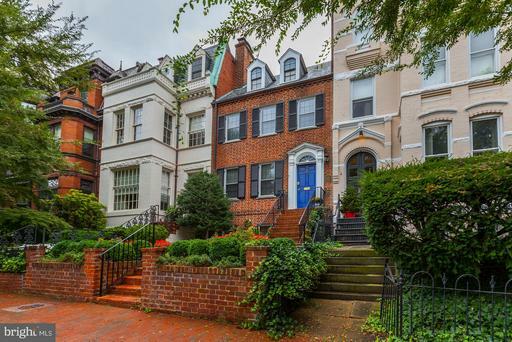 Known for its sublime architecture and cobblestones, ~O~ is a quiet haven, yet only steps to Georgetown University and the bustle of convenient shops, restaurants and entertainment that define Village life. The capstone to this very special offering is a built-in one-car garage with ample storage. 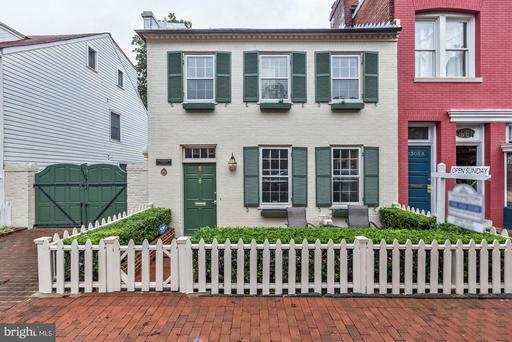 Elegant semi-detached residence, c. 1860 that exudes historic character and sophistication. There are elegant period details, dentil moldings, and quarter sawn wood floors. The gracious main level features 10 ceilings, double parlor, formal dining room, well-appointed kitchen with adjacent dry bar, and a powder room. The second level includes a generous master bedroom with en-suite bath, a neighboring den or library, hall bath, and large second bedroom with double closets. There is a spacious lower-level family room, a large den with windows and an adjacent full bath, a generous laundry room and ample storage. The beautiful rear garden is very generous and private. There are brick terraces and numerous areas for outdoor seating and dining. 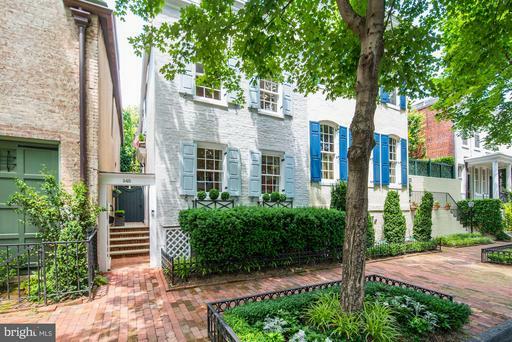 A rare brand new renovation in the heart of Georgetown. 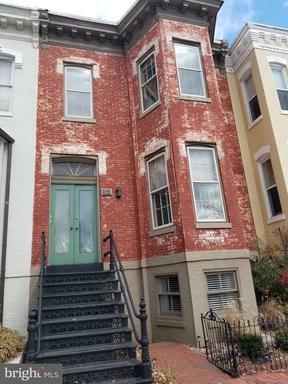 With the Commission of Fine Arts blessing, house undergone extensive restoration with new slab, basement waterproofing, brick wall repointing, new joists, new roof, new mechanical, HVAC,plumbing and electrical systems. New kitchen with high end quartz countertop/cabinets and top of the line appliances. New floors, new doors and windows,new paver, new fence.Tasteful finishes and extreme attention to details. Features 4 new full baths and 4 bedrooms with generous front and back yard. Leased parking directly behind backyard prepaid and can be renewed. 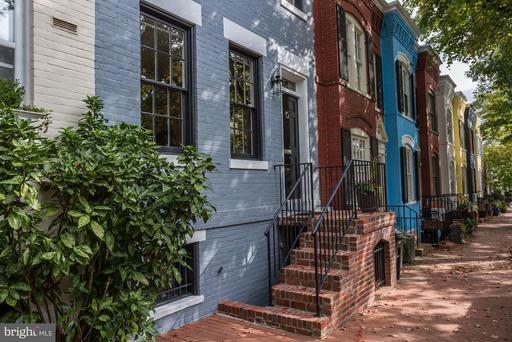 Within short walk to the lively M Street, Georgetown Waterfront Park, and Georgetown University. Also easy commute to GWU, IMF, World Bank, embassies, Department of State and future Amazon HQ2. Must see! 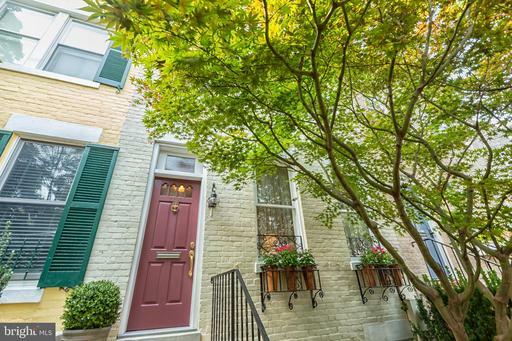 This romantic 4BR, 4BA Federal boasts a special story. It was built by a father as a wedding gift for his daughter, and it is said that he selected the marble mantelpiece from the Willard Hotel, when it was undergoing renovations, as the carved motifs reminded him of a bridal bouquet. We invite you to take a look. The property is in perfect condition inside and out. Stunning gardens and hardscape w a frost free water feature irrigation systems front and back. The sunny MBR offers a large, private terrace. 2nd BR with fireplace and both feature lovely views. Secured 2 car gar w expansive climatized storage. Outstanding Eng Bsmt w K and full BA. This is a convenient and turnkey property! 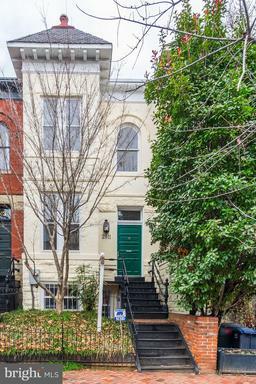 Amazing Georgetown Opportunity: 1215 30th Street, NW is 3,132 square feet of gracious living and entertaining space on three finished levels. The rooms are generously proportioned with 10 foot ceilings and original hard wood floors. The pristine renovation offers todays modern amenities built around many period details that makes this beautiful home beam with a current, modern flare. Special features include: the elegant double size living room, banquet size dining room, trophy kitchen with breakfast nook, and a spacious family room that opens to a lovely, deep terraced garden. Bright sunny Federal with deep garden and very spacious rooms throughout. Large living room with French doors opening to garden, spacious dining room and huge eat-in kitchen. 3 bedrooms 2 baths up, large recreation room with full bath on lower level. JUST LISTED! OPEN SATURDAY 4/20 1-3PM! 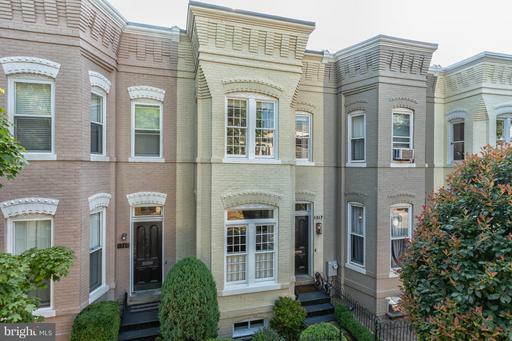 Fabulously updated expanded end-townhome on prime corner lot with 2-car garage! 4 BR + 3.5 BA including LL in-law suite! Approx 2,550 SF with Perfect entertaining floor plan featuring a bright kitchen open to Family Room with Fireplace and French doors to beautiful private rear garden patio. 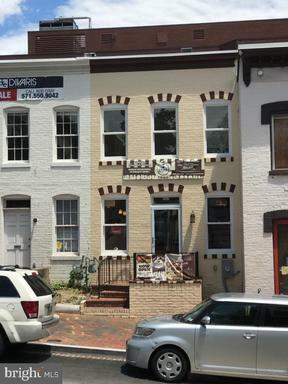 Amazing location convenient to all of Georgetown and downtown DC! Must see! 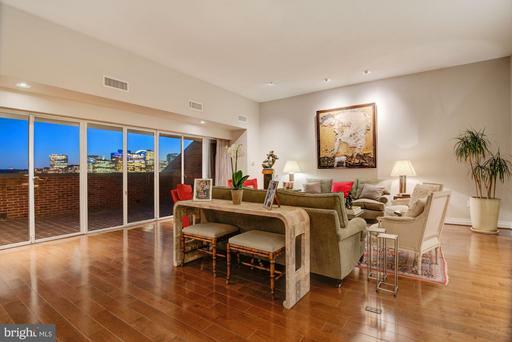 The building that sets the standard for luxury condo living - 3303 Water Street. Unit 4D offers stylishly updated space with high ceilings, hardwood floors throughout, automated recessed lighting, speaker system, wine cooler 2 bedrooms/2baths plus den. 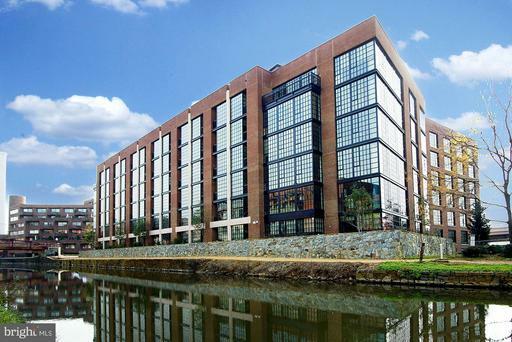 Building provides 24-hour desk doorman, rooftop swimming pool and deck with incredible views all set in an exceptional Georgetown location. 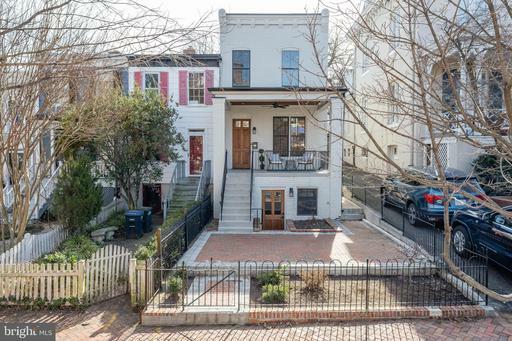 3BR/3.5BA Federal-style home in Georgetowns East Village with terrific light. Top of the line finishes include granite, marble, stainless, Georgetown Knobs, Waterworks, random width oak floors and private, landscaped garden with deck. Rental parking available close to home. Please ask for further details. 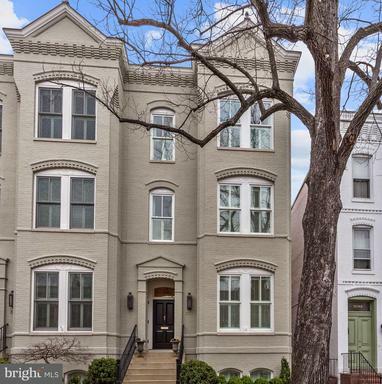 Historical charm meets modern luxury at 1231 30th St NW, located just seconds from the shops and restaurants of M Street in one direction, and Rose Park in the other. Not only is the location ideal, but the private off-street parking spot and wonderful neighborhood feeling make this house a home. 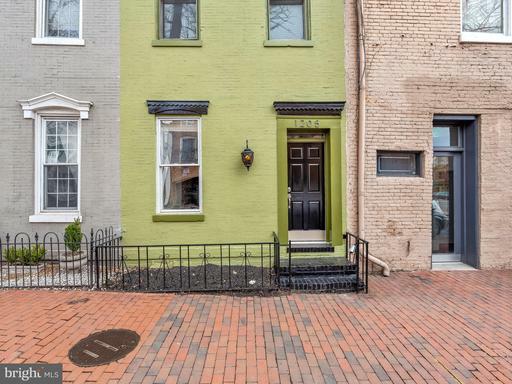 Recently renovated top to bottom by BOWA Construction, the home features a tiled entryway which soon gives way to refinished, antique wooden floors and 10-foot ceilings. The sunlit kitchen features natural quartzite countertops and island, all new appliances and a gas log fireplace as a beautiful focal point of the kitchen. The stairwell and exposed brick wall are bathed in sunlight from the full skylight on top of the stairs. The master bathroom similarly contains a suite of high-end fixtures - all of them top-shelf Waterworks products - as well as a marble tile shower surround, hammered chrome sink, and heated floors beneath a dazzling bathroom skylight. Each of the three fireplaces has been converted to a gas log system, and plantation shutters have been added to all of the windows. Additional upgrades include cutting-edge HVAC and security systems, a rewired electric panel, a tankless water heater, and a new roof. Nothing was overlooked in the renovation of this beautiful home. The main and lower levels are each equipped with an outdoor porch and deck area providing quiet and privacy from the excitement of Georgetown. 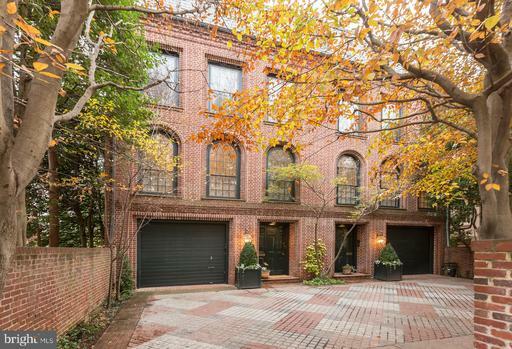 Largest townhome in Cloisters. Gated Community. Fully renovated in 2010. Elevator. 3,562 SF, 4 stories, 7BR/5.5BA. Open living and dining room. Gourmet kitchen w/island, ample cabinets, wine cooler SS appliances. Family room, 2 FPs, 2 car parking, large patio/garden. Travertine hardwood. Great location, nice covered patio for seating, have as a restaurant, commercial office, or pretty much any business youd like! Across from the Ritz Carlton and right next to sequoia harbor. Property sold in as-is condition. Historic Charming! 2-car parking huge garden. Entry level with living room, family room, as well as a bonus room. Lower level with gourmet kitchen dining room with fire place, full bath, walks out to patio garden. Top level boasts 2 bedrooms 2 full baths, master has a large dressing room. 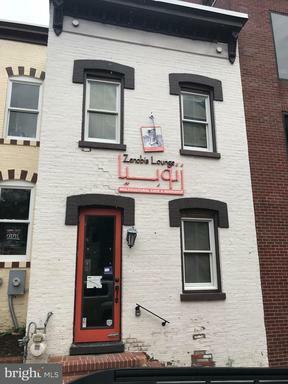 Close to the shops and restaurants of Georgetown, as well as the University. 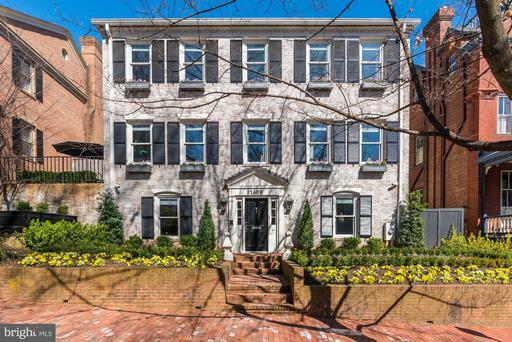 Enchanting elegant property on picturesque Georgetown street. This home exudes refinement with classic details, lovely living spaces an exquisite private garden. Artfully executed addition compliments the owners vision with care attention to detail. The charming side entrance is an attractive introduction to a very special home reflecting the style sophistication synonymous with living well. Back to Market - Buyer lost job and wasnt able to perform financially. The Cloisters of Georgetown! 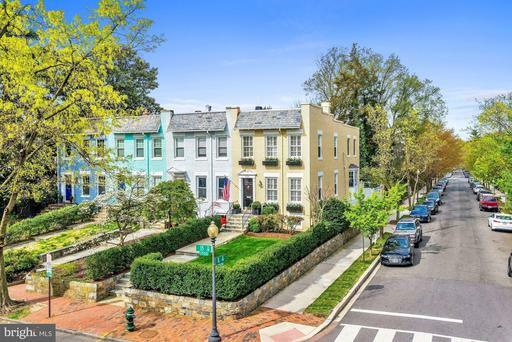 Only 2 short blocks from shops, antique stores, restaurants and entertainment - the highly coveted community of the Cloisters is in the heart of Georgetown and yet a quiet refuge from the everyday commotion of the city. The home features a rare model with 4BR and 3.5BA over 3 levels. The entryway leads to a half-bathroom, a state of the art table-space kitchen with high end appliances, formal dining area, and a grand step-down living room with two oversized windows overlooking trees with lots of natural light. The cozy fireplaces on the main and lower level makes this home perfect for entertaining on the main as well as the lower level. The southern exposure makes for lots of natural light throughout! The upper level offers two bedrooms each with its own en-suite bathroom. The lower level leads to a bedroom with an en-suite bathroom and an additional bedroom/family room with fireplace and opens up to a lovely garden and gorgeous stone patio area - perfect for grilling or enjoying a glass of your favorite beverage in the evening! The property conveys with a PRIVATE GARAGE PLUS AN ADDITIONAL SURFACE SPACE for a total of two parking spaces and has ample storage throughout. SHOWINGS EASY BUT BY APPOINTMENT ONLY! Back on the market. SPACIOUS UPDATED! 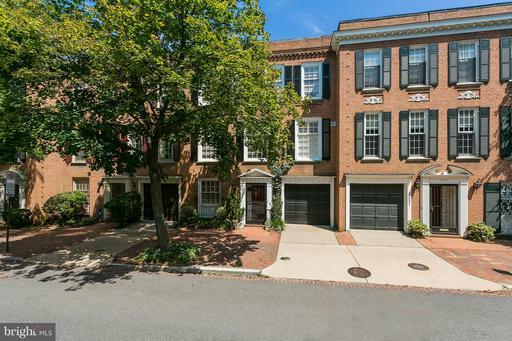 Elegant home in The Cloisters of Georgetown! Features 3,200SF, 5BR, + 5.5BA on 4 levels. South facing living room windows flood the main level with light. Flexible floor plan is ideal for grand entertaining or intimate evenings in front of the fireplace. 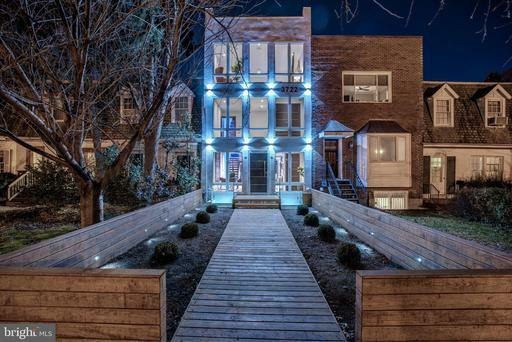 Gourmet kitchen w/SS appliances, private patio, 2 car parking, hardwood + marble throughout. Wonderfully walkable location! 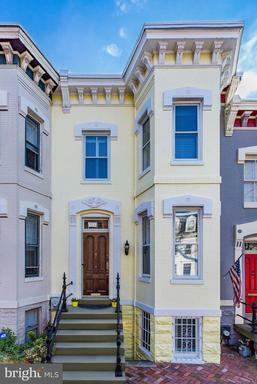 Beautifully renovated bay-front 3BR/3BA Victorian w/easy-to-access oversized 1-car detached GARAGE. Original pine floors, high ceilings, recessed lighting. Main level: living room w/fireplace, separate dining room high-end kitchen, leading directly to an inviting rear garden w/sophisticated landscaping and mature plantings. 2BR/2BA up incl. king-sized master suite with large walk-in closet. Finished lower level includes family room, bedroom, full bathroom, laundry room, and rear walk-out to garden. Great for investors who want to have a long-term cash flow. 5 year lease with 5 year extension started at the beginning of 2019. Great location, nice patio for seating, have as a restaurant, commercial office, or pretty much any business youd like! Across from the Ritz Carlton and right next to sequoia harbor. Property sold in as-is condition. 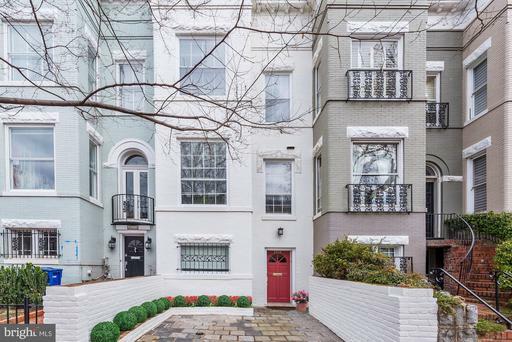 Fantastic East Village three bedroom and three bath row house with large three tiered terrace. Spanning over 2,100 SF est, this three level home is located on a highly sought street and has beautiful hardwood floors, a fireplace, and a skylight. The first level features a foyer and a sunlit living room, formal dining room, and an updated kitchen with granite counters. The second floor includes a master suite with a walk in closet and mosaic shower and claw foot tub, a second bedroom and a full bath. Lastly, the lower level has a third bedroom/ recreation room and a full bath. A beautiful three tiered flagstone rear terrace completes this home. 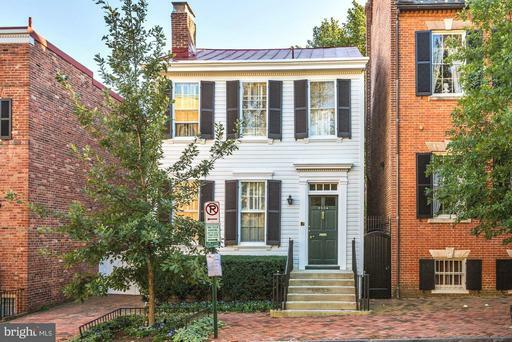 First time on Market in Decades! This is a wonderful and charming house with historical provenance and many original details. This true, brick Federal has many fine attributes. The entry level is above the street and enters into light-filled hallway. The living room has original floors, fireplace and south-facing windows. It is open to the separate dining room with a fireplace flanked by built-in cabinets. The new, modern kitchen has a convenient door to the outside. The rear of this level has a large, double-family room/library with access to the private and deep garden. The upper level has three nice bedrooms. The front bedroom has an en suite bath and the rear bedroom has an extra space that would make a fine office. There is a dedicated stairway from the family room to this rear bedroom and there is also a stairway to the attic on the upper level. The lower level includes the laundry room, the utility room and another, light-filled room with a large, south-facing window. Elevator conveys in as-is condition. First Open Sunday, January 13, 1-4pm. Wonderful East Village location near Rose Park! 2 bedrooms, 2 baths up. Light filled living level, living room with southern exposure, kitchen with pantry and separate dining room opening out to lovely private garden. Lower level with separate in-law suite with bedroom, bath and full kitchen! Total square footage is 2,310 sq ft! 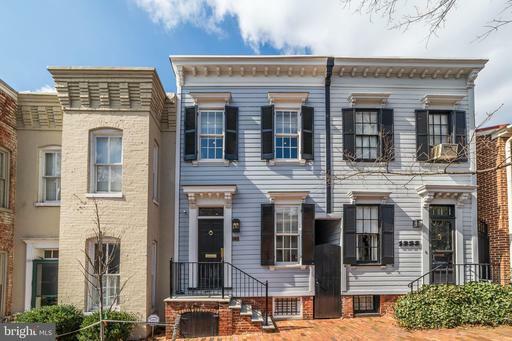 Bring your buyers to this sunny South facing row house in Prime Georgetown with perfect backyard entertainment space with multiple levels and brick patio. Rare Main Level Kitchen; High Ceilings; 3 bedrooms and 2 full baths on second level. Finished lower level. AS-IS. Needs Work. Lease Considered for 24+ month term.